More than 8 out of 10 Irish consumers would consider buying an ethical/charity gift as a Christmas present for a friend or family member this Christmas, according to a recent survey by Oxfam Ireland released as part of the launch of Oxfam Unwrapped. 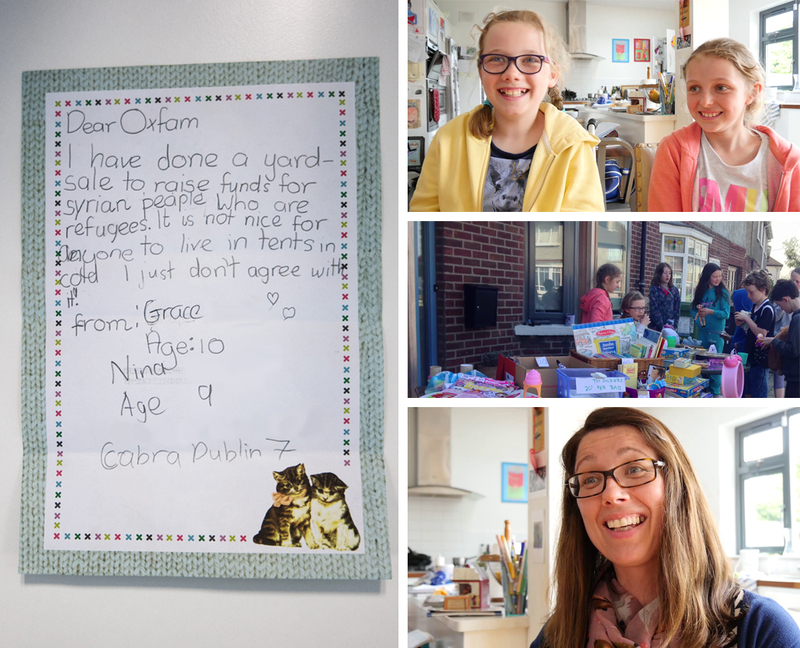 Given the ongoing generosity of our own supporters throughout the years, and indeed the seasons, these survey results come with no surprise to us here at Oxfam Ireland. Christmas being a time of goodwill, it’s a time where thoughts turn to buying gifts for our loved ones. Christmas is also the time we as a nation are known to think about donations to charity and helping people living in poverty. Oxfam Unwrapped offers you the choice of combining the two by giving your loved ones great gifts that keep on giving. We found that over two-thirds (68%) of Irish people considering buying an ethical/charity gift this Christmas are encouraged to do so because it will help those in need. So whether you’re looking for a stocking filler present for €10/£10 or less (like Chocolate €5/£3, a Share in a Farmyard €7/£5 or a Cooking Stove €10/£8) or are raising money together with your school, group, company or club to buy a large-scale gift (like Water for a School €1,950/£1500), the impact is the same – lives transformed for the better. Almost 2 in 5 (37%) of Irish people say they would buy an ethical/charity gift this Christmas as they know the person they will give it to would love it, while another third (34%) mentioned that giving an ethical/charity gift as a Christmas present is unique and different. This year we have lots of gifts guaranteed to generate smiles on the faces of your loved ones! Our incredible animal gifts are the perfect gift for the animal lovers in your life and are always a hit with kids. 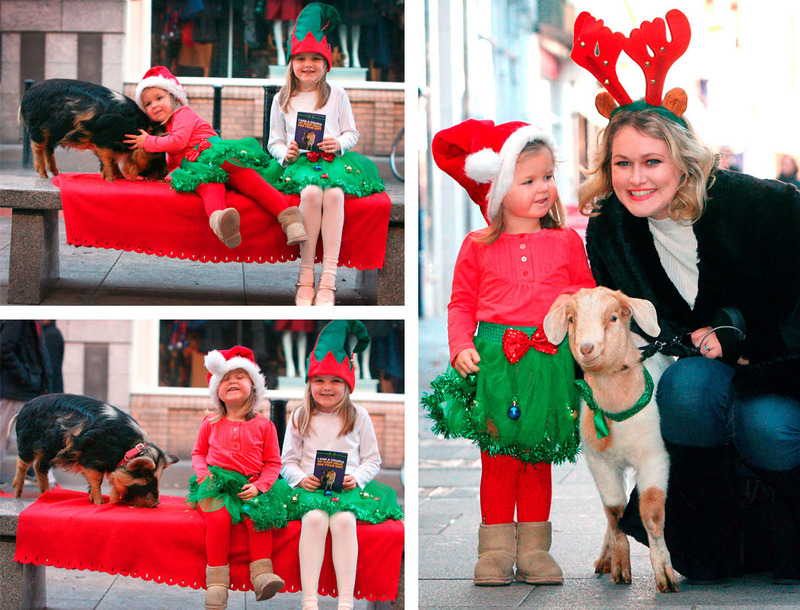 This year, animal gifts include Honeybees (€17/£12), A Clutch of Chicks (€19/£15), A Goat (€35/£25), Goat Couple (€70/£50) or Three Little Pigs (€75/£55). By purchasing animal gifts, you will raise money for Oxfam’s Livelihoods fund. This fund supports a wide range of life-changing programmes that help vulnerable communities who depend on healthy animals and farming for their livelihood. Whether you want to buy a gift for a friend or family member who is passionate about education or loves to cook, we have you covered! You can buy the gift of a Cooking Stove (€10/£8), Feed 10 Families (€65/£45), support a child’s education with the gift of School Books (€12/£8) or even help to Educate a Girl (€12.50/£9.50). Have a DIY-lover in your life? 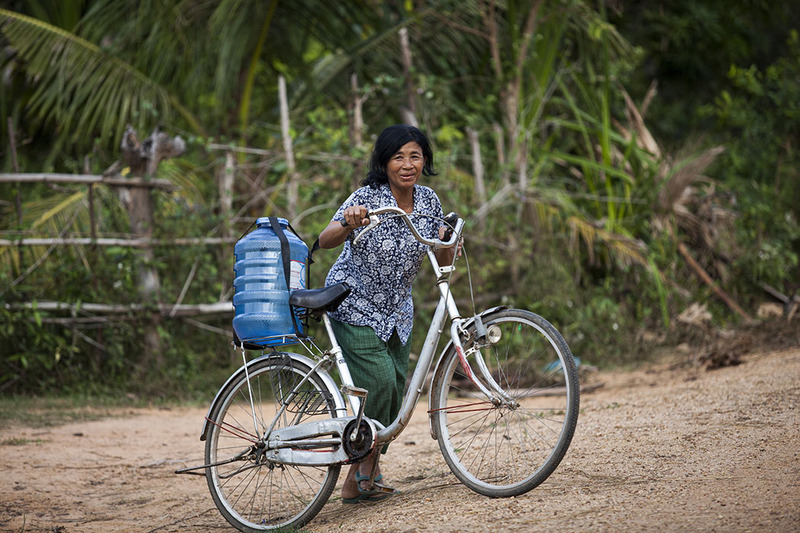 Buy them the gift of Fixing a Well (€32/£22). Purchasing any of these gifts will raise money for one of Oxfam’s four specific funds – Livelihoods, Saving Lives, Investing in Futures and Water for All. Your gift will go where it’s needed most and begin to make an immediate difference. Buying an Unwrapped gift could help support a child to go to school, particularly girls living in rural poverty. 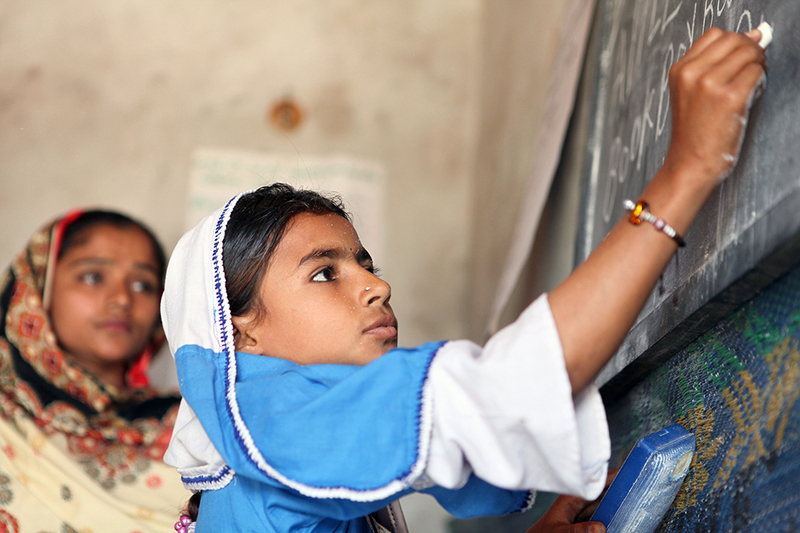 For example, working with local partner organisations Oxfam renovated four girls’ schools in Pakistan – resulting in a 42 percent increase in enrolment—and provided others with trained teachers and new equipment. We’re asking you to consider us again this Christmas, please help us spread millions of smiles around the world by generating funds for people living in poverty. With your help, together we can save lives this holiday season. For gift card delivery before Christmas, order by Friday December 18th if you’re buying online or by phone (Republic of Ireland: 1850 30 40 55 / Northern Ireland: 0800 0 30 40 55). If you find yourself in need of a last-minute gift, don’t worry - you can buy an Oxfam Unwrapped eCard super quick on our online store. I’ve worked with Oxfam Ireland many times over the years and was thrilled when they asked me to support the Drop and Shop campaign – which is also a great scheme for you to get involved with. I’ve always found Oxfam to be a great organisation to work with on shows and shoots – the staff and volunteers really know their stuff about fashion, both current and vintage, and have a great eye for merchandising. These events are the most fun for me to style because you never know what you might find when trawling through the stock. 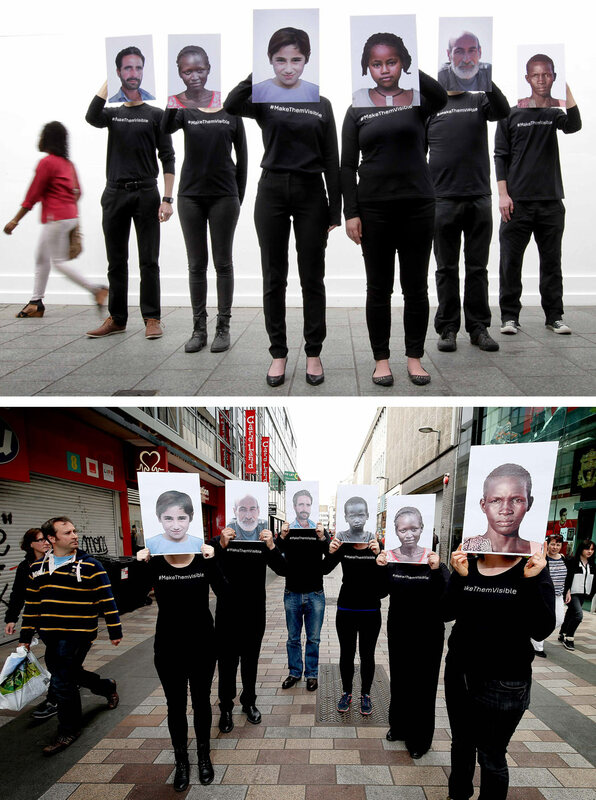 Working with Oxfam on fashion shows, such as Belfast Fashion Week’s Charity Shop Challenge, always causes quite a stir. Over the years there have been near-riots backstage on more than a few occasions when models spy one-off desirable pieces that they wanted to buy – while at the same time members of the audience mobbed the Oxfam shop manager to buy the pieces straight off the catwalk. I recently realised how many clothes I have (a lot), yet I tend to wear so few of them. You know how it is – you throw on whatever is handy, you rely on a certain style formula, a colour palette, a silhouette, a trademark. And there is nothing wrong with that, it’s important to have a personal style that suits you and your lifestyle. Honestly though, it’s easy to go from personal style straight into a style rut. I verge on this sometimes and I’m a stylist! I live and breathe this stuff. A wardrobe fit to bursting sounds like the ideal scenario for any fashion-conscious person (or in my case, a room overflowing to another room, overflowing to the floor…) but the reality is that we wear 20% of our clothes 80% of the time. This means the majority of our clothes are sitting there, doing nothing. Getting in our way, occasionally sneaking into the laundry. It makes getting ready in the morning more taxing, as you wade through rails of ex-favourites to find the one thing you are looking for. But these clothes could be doing something. A big something. Did you know that a high quality/one-off piece like a designer dress or a piece of furniture can raise vital funds and make a big impact on Oxfam’s work worldwide? 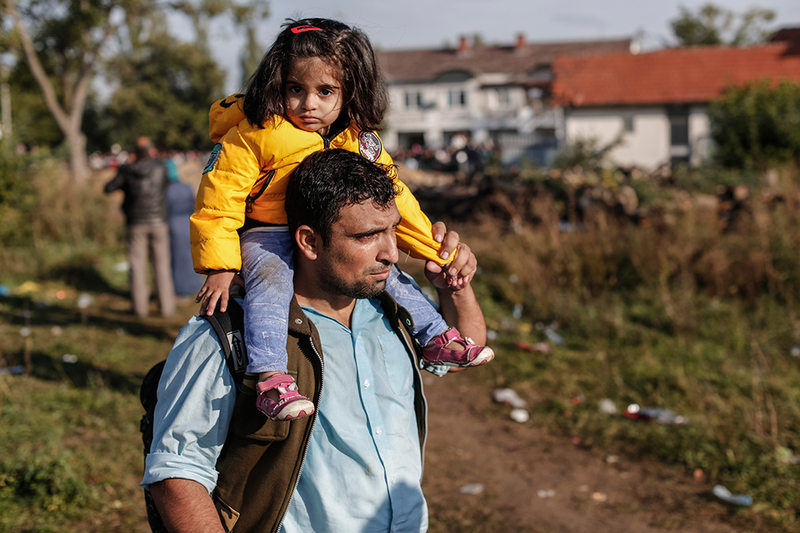 For example, a jumper sold for £6/€8 at your local Oxfam Ireland shop could help purify around 2,000 litres of water, making it safe to drink for families living in makeshift camps in Nepal. Take a few hours to go through your wardrobe. I bet you have loads of things you’ve only worn once or twice, or maybe never worn? Try them on. Why did you buy them in the first place? What do they work well with? Do you still like these pieces? Decide what to keep and what to ditch. Get rid of anything you haven’t worn for over 18 months (except occasion clothing and items with sentimental value), anything that no longer fits and anything with the labels still attached. Bag these items up and drop then to your local Oxfam shop. I now do this regularly and it feels great. The relief of having a nice organised, clear wardrobe is fab. The feel-good factor, knowing that you are doing your bit to help Oxfam fight poverty and save lives in emergencies, is priceless. There’s an extra pressure in these days of social media and the ever-present camera. With every event and night out charted on our Facebook and Instagram, people are feeling the pressure previously reserved for celebrities – being photographed in the same outfit over and over. It sounds silly but I bet it’s gone through your mind before. What better reason to bag up those old favourites and donate so that someone else has the chance to have a night out in that gorgeous dress and hopefully you can pick up something just as stunning when you #dropandshop – you get 15% discount on the day you drop. Share your experience on social media to be in with the chance of winning a refurbished iPad 2. I’ve been a trawler of charity shops since I was a little kid – first of all spending my pocket money on old Enid Blyton books and Judy annuals, then on slip dresses and grandad cardigans during the grunge years of the ’90s. Here are my top tips. - Don’t take vintage/second-hand items at face value – body shapes have changed over the last century, so clothing may need alterations. Long skirts can be cut short, necklines altered, garments restyled. You should find a good dressmaker or learn how to use a sewing machine. - Imagine a piece out of context. On a crowded shelf of scary figurines, or a rail of sad-looking frocks, you must try to see each item as an individual. Pick up every piece and imagine it out of context: in Urban Outfitters or Topshop, say or a cool boutique. Things which look tatty and unloved sometimes just need a bit of styling. Stand back, squint, and imagine how it would look somewhere really chic. - Charity shopping does take a certain amount of commitment. You can’t just waltz in twice a year and hope to strike gold. Little and often is the best way, dash around your locals on your lunch break at least once a week. Get to know the volunteers so you can ask about stock that hasn’t been put on the floor yet. - Find out what day your local charity shops receive their deliveries, so you can get first dibs on the good stuff. - Check for any stains or damages to the garment and be sure it can be repaired. - With proper vintage clothing, do try things on, and don’t trust the labels – ‘standard’ sizing has varied greatly since it was introduced in the 1950s – so a modern size 10 may find that a size 14 vintage garment is a perfect fit. On that note, different decades’ styles flatter different body shapes – the fit and flare silhouette and strong shoulders of the 1940s flatters pear shapes. The full skirts and cinched waists of the 1950s were designed for the hourglass figures, while apple shapes suit the empire line and shorter hemlines of the sixties. Slender figures can carry off the bias-cut of the 1930s and the long, lean looks of the ’70s. - Wearing top-to-toe vintage can create a theatrical, fancy dress look – mix vintage with high-street and designer to create your own style and keep hair and make-up clean and simple. - Don’t forget men’s clothing – the androgynous ‘boy meets girl’ look great. Look for oversized jackets and shirts to wear with slim cropped trousers. Shoulder pads can be removed and shoulders nipped in. - It is more environmentally sound to buy second-hand – it is the most stylish form of recycling. The ’70s is a big trend this season and next, with suede coats and jackets being one of the key pieces so keep an eye out for those. Leather pieces are also great investments with the bonus of already been worn in. Try something a bit different, charity shopping is a great time to take a risk and nab a bargain. When you take your new finds home, see where they fit with your newly edited wardrobe. Mix and match to create new outfits and create a new personal and ethical style. Top fashion stylist and designer Sara O’Neill is supporting the Oxfam Ireland Drop and Shop campaign. There is something for everyone at Oxfam Ireland this Christmas with the Christmas at Oxfam gift range. From retro games to the gift of clean water or Fairtrade chocolates, there’s the perfect present for that big box under the tree as well as a host of novelty stocking-fillers and festive essentials. 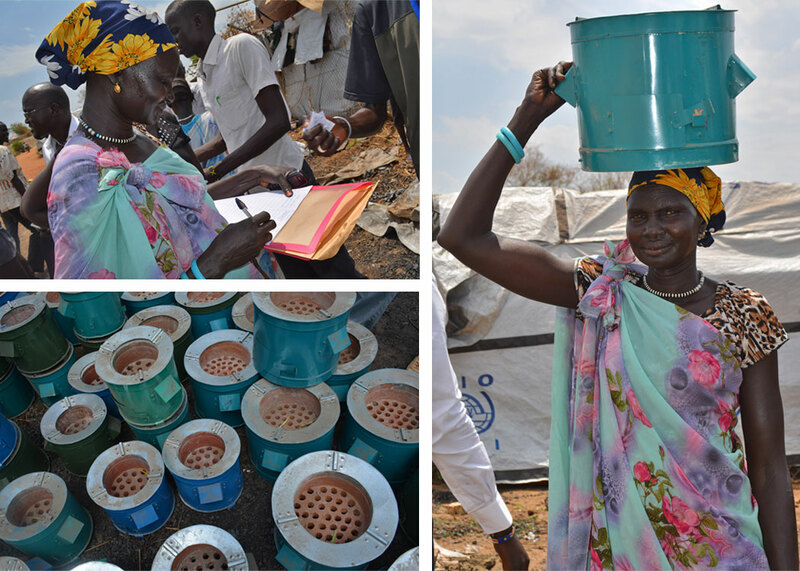 We’ve also got the ideal gift for the person who has everything with the Unwrapped range, which supports our life-changing work worldwide and helps those who have lost everything by providing cooking stoves that keep families safe and warm in emergencies as well as helping poor farmers to thrive and lots more besides. By purchasing an Unwrapped gift, you’ll be helping people like Yang Pal who lives in UN House in Juba, a camp for internally displaced people. Yang Pal is one of 1.5 million people forced to flee their homes after fighting broke out in South Sudan last December. A fuel-efficient cooking stove (€9/£8) means that Yang Pal can cook more economically and efficiently as well as keep warm. It also helps keep her safe by reducing the need for women like her to venture out in search of firewood into areas where they are at risk of attack. 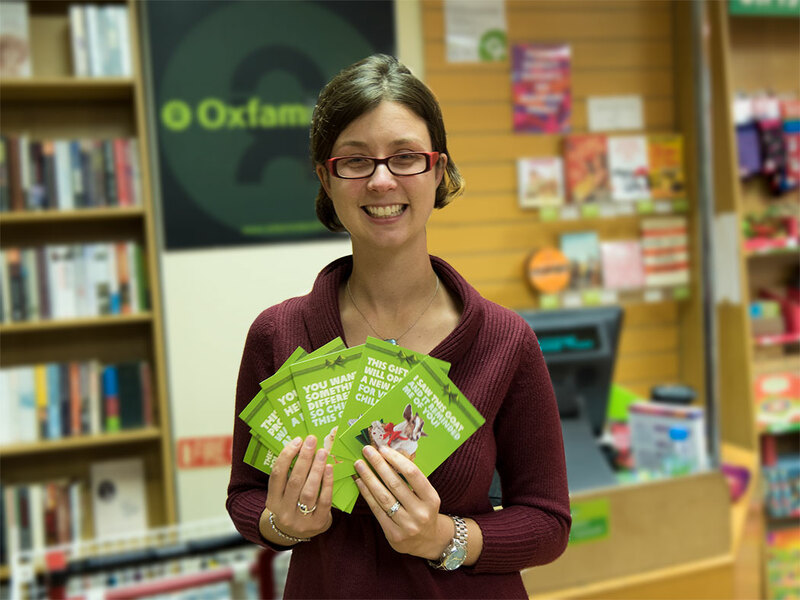 Above: Melissa Cameron, Oxfam Unwrapped supporter and shop volunteer: "I've always supported Unwrapped. My parents have been supporting Oxfam Canada and buying Unwrapped gifts at Christmas time for as long as I can remember, since I was a kid, so when I moved to Ireland it was just a natural thing to do. You could say it’s a family tradition. I’ve already bought all my Unwrapped gifts for this year - my sister-in-law is getting Care for a Baby because she just had a baby. My brother is getting School Books and my grandmother is getting Educate a Girl - they both used to be school teachers. I'm vegetarian and I'm making my husband be vegetarian with me so that's why he’s getting A Clutch of Chicks this year. And I’m getting A Goat for my parents as they love animals and a Cooking Stove for my in-laws. Whatever Unwrapped gift you decide to buy, Oxfam will ensure that your money has the best possible impact on the communities who need it most. To find out more click here, call 1850 30 40 55 (ROI) or 0800 0 30 40 55 (NI) or visit your local Oxfam shop. 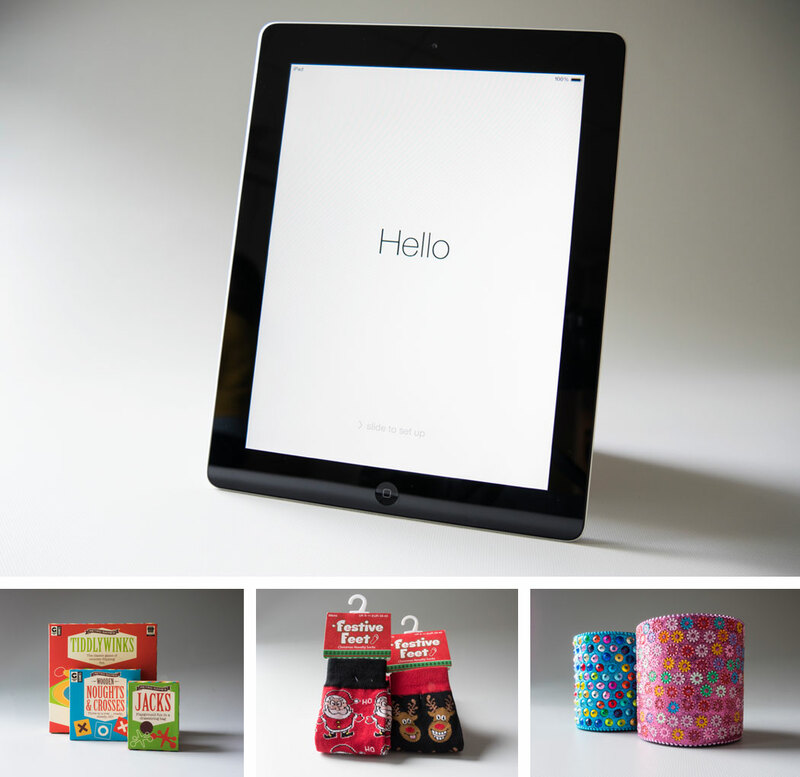 This Christmas, we’ve also added the iPad 2 to our Born Again range of refurbished computers. Priced at just €299/£235, the iPads have been fully restored, tested and given a new lease of life and are the ideal gift for kids, teenagers, students and silver surfers. Born Again iPads and computers (laptops from €189/£149 and desktops from €125/£99) are available online here or at selected Oxfam shops across Ireland. The rest of the Christmas at Oxfam range is on sale now at Oxfam Ireland’s fifty shops nationwide, with stocking fillers that include ladies and men’s festive socks (€2.49/£1.99), retro games like Jacks, Noughts and Crosses and Tiddlywinks (from €5.99/£4.99) and Fairtrade stationery such as sparkly pens (€1.99/£1.49) and notebooks (€3.49/£2.49), among other gifts. 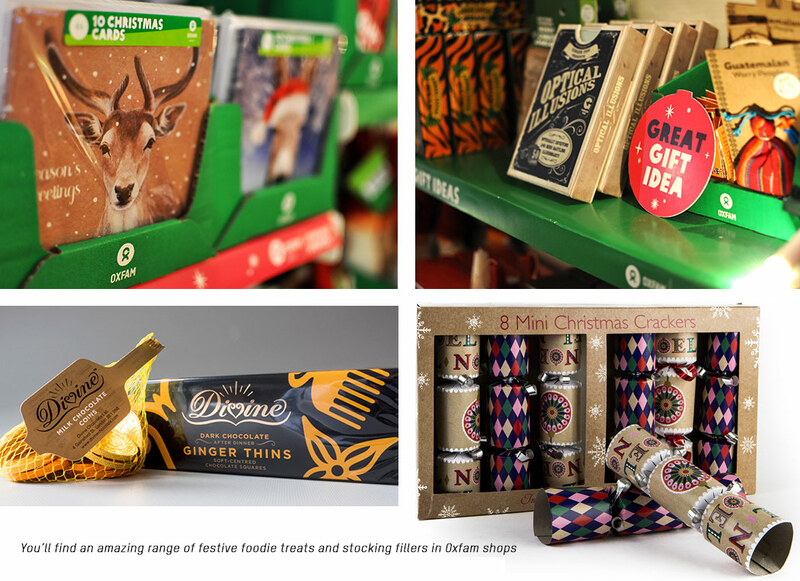 And for the foodies, there’s a delicious range of festive treats, including Fairtrade Divine Ginger Thins (€4.99/£3.99) and Fairtrade Divine Dark/Milk Chocolate Coins (€2.49/£1.99) as well as Mulled Wine Spices (€3.49/£2.99) – the perfect addition to any Christmas hamper! There are also Christmas cards (from €1/£0.99 - €5/£3.99), advent calendars (from €3.99/£3.49) and crackers (from €4.99/£3.99) on sale as well as a selection of decorative bells in red and white (€4.99/£3.99). The Christmas at Oxfam range offers high-quality gifts that give back. The profits from the sale of each Christmas gift will support our work worldwide, helping to give hope this season to families and communities living in extreme poverty or affected by emergency situations like South Sudan or Syria. The Christmas at Oxfam gift range is available at Oxfam shops nationwide. Find your nearest Oxfam shop.